“When you get Confirmed, what happened to the Apostles is the exact same thing that will happen to you . . . maybe minus the visible tongues of fire . . . I don’t know, I’m not making any guarantees. But the presence and the power of the Holy Spirit will actually be upon you. This is what happens in the Sacrament of Confirmation, that we receive these gifts. And these gifts are what? But that’s not all! 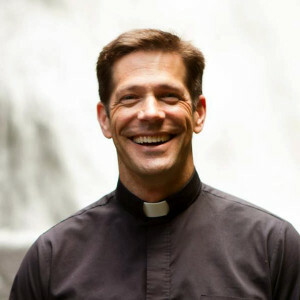 Listen to this podcast by Fr. Mike Schmitz from Lighthouse Media to learn more about the incredible Sacrament of Confirmation. Click on the image or link below to download the podcast and head over to LighthouseCatholicYouth.com for more great podcasts. I'm the director of Youth and Young Adult Ministry for the Diocese of Duluth and the chaplain for Newman Catholic Campus Ministry at the University of Minnesota—Duluth. Every Sunday at Mass I record my homilies; if you want to listen they're on bulldogcatholic.org or iTunes.